The 375th anniversary of Exeter is an ideal time for us to reflect on our town's rich history and how it shapes our community now and in the future. 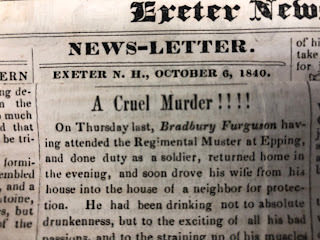 At the Exeter Historical Society we strive to inspire a passion for our shared past by engaging and educating present and future Exonians. Curator Barbara Rimkunas and I have the distinct privilege of working with this amazing town. As students of local history, we have come to realize that as we enter this community -- whether as infants, high school students, job-seekers, or retirees -- we become part of the town's history. Local history is community; we are the history makers. Part of our responsibility as historians is to document present-day events in our town. But looking towards the future includes taking advantage of 21st century technology. We joined Facebook in 2009, and maintain a very active page. One of our most popular posts is the “Local history is…” photo series, through which we demonstrate that ordinary aspects of community life are part of history. Last year we created a monthly series on YouTube, the Exeter History Minute; in each brief video segment Barbara explores a different aspect of Exeter’s history. And this month our mascot, History Bat, will be hanging around a number of downtown retailers to help answer Exeter trivia questions. (History Bat also has his own Facebook page and Twitter feed!) In addition, you can find us on Twitter, Pinterest and Instagram, as well as on our website and blog. Though our doors are not always open in the literal sense, we invite conversation at all times through these online channels. By offering a variety of learning -- and teaching -- opportunities, we are always seeking to increase our audience. In addition to social media, we share historical knowledge through our written histories, classroom visits and programs. 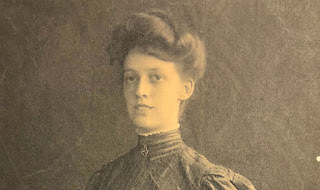 Just a few examples include reprinting Nancy Carnegie Merrill's "History of Exeter: 1888 - 1988" in celebration of the 375th; Barbara's bi-weekly column, "Historically Speaking,” for the Exeter News-Letter; more than a dozen presentations at the Historical Society each year; and educational programs in the public schools. Despite rumors to the contrary, the Exeter Historical Society is not a dust-covered pile of old books or a collection of unwanted items from Grandma’s attic. Sure, we have a large library of old books and a wonderful collection of artifacts from Exeter’s 375-year history, but we are so much more. We are a resource – an organization that strives to educate people of all ages about our rich local history. But most importantly, we serve as our community’s collective memory. And if you were born, studied, lived, worked, or retired in Exeter, you are part of our story. This editorial appeared in the September 2013 Exeter Area Chamber of Commerce's monthly journal, Tradewinds.